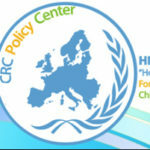 Natasa Papamarkou works as a Clinical Psychologist at “Hope for Children HFC” CRC Policy Center and based at the “Children’s House”. She studies in Psychology at National and Kapodistrian University of Athens in Greece. She also postgraduated in Clinical and Health Psychology at Eotvos Lorand University of Budapest, in Hungary. She is currently finishing her four year training in Integrative Psychotherapy, at Cyprus Institute for Psychotherapy and she is a registered Clinical Psychologist. 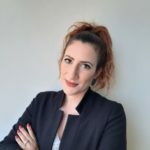 Natasa has previously worked at the Outpatient Departments of Hospitals in Paphos and Larnaca, as a scientific coordinator of PSEMA rehab addiction center for adults and as an associate of direct intervention team of Ministry of Education and Culture. For the past 5 years, she was implementing assessment and therapy to children, adolescents and adults, in one-to-one sessions or in groups, at the private sector. Additionally, she has given lectures, speeches and personal development experiential seminars to a variety of groups. Currently, she is an external associate of European University of Cyprus, as a Clinical Supervisor of students of the postgraduate program in Clinical Psychology.